Please welcome Sylvia Izzo Hunter to The Qwillery as part of the 2014 Debut Author Challenge Interviews. 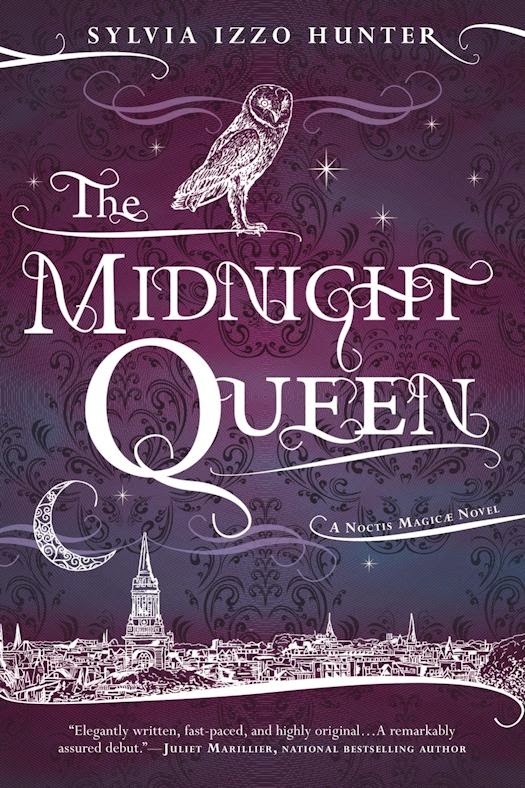 The Midnight Queen is published on September 2, 2014 by Ace. Please join The Qwillery in wishing Sylvia a very Happy Publication Day! I don't really remember when I started writing; if you ask my mom, she'll tell you that I've been making up stories and inflicting them on people basically since I learned to talk, and at some point I started writing them down. Creative writing assignments were always my favourite thing. I also started writing fanfiction long before I had ever heard the term "fanfiction". For instance, I may be the only person ever to have written All of a Kind Family fic -- at least, I'm the only one I know -- but I spent almost the whole of Grade 6 doing that, in a very big stack of exercise books. Pro tip for teachers: do not assign your students to write a novel unless you are REALLY SURE that's what you want! I started writing this particular book because of a conversation that I started overhearing in my head (don't look at me like that; it happens!) between two people in a garden. Which, not coincidentally, is one of the places where THE MIDNIGHT QUEEN does in fact start. TQ: Are you a plotter or a pantser? Sylvia: Um … let's say I'm trying to become more of a plotter and leave it at that, okay? Sylvia: Plot! Hands down, it's plot. (Well, that and carving out time to write in the first place.) 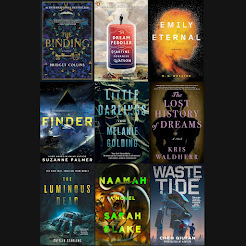 That probably sounds weird, but: I'm good at the mechanics of writing (in my day job, I'm an editor), I enjoy worldbuilding, and I only occasionally struggle to work out what a character is about. I'm always coming up with interesting premises and really cool first lines. But then what? What are these characters I like so much going to do? Where in this really cool setting I just thought up is there going to be a story? One of the hardest writing tasks for me is doing a synopsis, because synopses are completely made of plot. TQ: Who are some of your literary influences? Favorite authors? Sylvia: In terms of the language and the setting, this book in particular owes quite a lot to Jane Austen, who is in fact one of my favourite authors, and in some of the characters there are echoes of my favourite Austen novel, Persuasion. I won't pretend that my book is as clever as any of hers, though. Yeah, I'm just going to stop now. TQ: Describe The Midnight Queen in 140 characters or less. Sylvia: Magic, mystery, mayhem, and marriages, set in a Europe where Christianity never really took off. TQ: Tell us something about The Midnight Queen that is not in the book description. Sylvia: There is a lot of music in this book, and it's not just for decoration. All the songs in it are real ones (or are based on real ones). TQ: What inspired you to write The Midnight Queen? What attracted you to Regency England for a setting? Sylvia: Well, as I mentioned earlier, one day I overheard these two characters having a conversation in my head. One of them was a university student, and for some reason he was working in the garden. The other was the daughter of some important person whom the student was, for whatever reason, worried about. I didn't know much about them to begin with, but I did know their names! At first I thought the setting was sort of Edwardian, but the more I wrote about these characters the clearer it became that they belonged in an earlier, more mannered and agrarian age -- or, at least, to a world without steamships and a comprehensive rail network. And of course, as generally happens to me, their world turned out to have magic in it. So the worldbuilding does owe a lot to Regency England, but there are some pretty crucial differences -- the first and most obvious of which are, of course, the very different borders of the Kingdom of Britain (which includes what in our world are bits of France, but does not include Scotland) and the fact that this kingdom has a king, not a Prince Regent. The absence of Christianity as a load-bearing wall in the edifice of society is also a crucial difference: some of the things we take for granted are shifted around a bit, or approached from a different angle, because of that change. I'm not sure how to answer the question "Why the Regency-ish setting?" except to say that these characters wanted their story told in that kind of voice, and as soon as I worked that out, the writing got easier. I expect that makes me sound a bit unhinged, but it's the best I can do! TQ: What sort of research did you do for The Midnight Queen? Sylvia: To keep the voice/style on track, I did a sort of continuous-loop Austen re-read for quite a while, and also spent some quality time with the OED Online. I read books about social customs and etiquette (and food and clothing and crockery) in Regency England, and did a lot of research online. I researched Roman wedding customs, Roman and Celtic gods and goddesses, Greco-Roman temple architecture, contredanses, and the history and micro-geography of Oxford colleges (particularly Balliol, which is in many ways the model for Merlin College). I drew lines on Google Maps, researched types of carriages and who used them, and pestered horse-loving friends for equine and equestrian information. I acquired an English-Breton phrasebook, a book on classically influenced interior decorating in Regency England, a Welsh phrasebook, and a great big Latin vocabulary file (and I threw myself on the mercy of some friends who have actually formally studied Latin, who helped me avoid some fairly embarrassing faux pas). Also, I once proofread a book on the topic of ceramics and society in the Regency period, and the author generously gave me a comp copy, which I used quite a bit for visual references. And then I mixed it all together, stirred briskly, and made a bunch of stuff up. 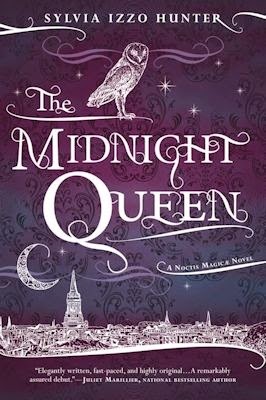 TQ: In The Midnight Queen, who was the easiest character to write and why? The hardest and why? Sylvia: I found both Sophie and Gray very easy to write, but perhaps easiest of all was Joanna -- whom I originally intended to be a minor character who would provide a bit of comic relief in one chapter and a bit of drama in the next, then exit stage left to make way for the main plot, and who instead marched into the book, grabbed onto the plot with both hands, and refused to be shifted. Joanna might actually be my favourite character (but don't tell any of the others!). The only bit of her that gave me trouble was her name, which, as you'll have noticed if you know your etymologies, is completely inappropriate to a non-Biblically-influenced world, and which I tried and tried to change but couldn't. You will not be surprised to hear that Joanna is an extremely persistent person who really knows her own mind (and also where her towel is). The character I had most trouble with is probably Sophie and Joanna's sister Amelia. Whereas many of the other characters had very strong personalities right up front, Amelia didn't -- but I didn't want to write her as stock footage of Every Young Woman in an Austen Novel Whom I Dislike. There's more to Amelia than may at first appear. TQ: Give us one or two of your favorite lines from The Midnight Queen. "Father can scarcely manage not to cheat at chess, if he sees any possibility of losing; what might he do in a contest whose outcome truly mattered?" Sylvia: Well, right now I'm working on the sequel to The Midnight Queen -- it hasn't yet got a real title -- which continues the adventures of Sophie, Gray, Joanna, et al. a couple of years later. 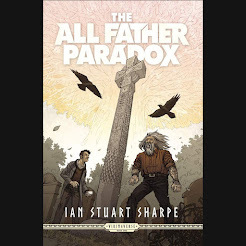 After that, book three! Even were we all wise, all women of understanding, it would still be our duty to tell the story of the departure from Earth. 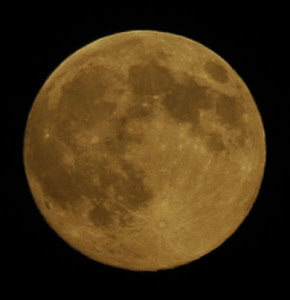 And the more one tells of the departure from Earth, the more is she to be praised. Gray’s deep talent for magick has won him a place at Merlin College. But when he accompanies four fellow students on a mysterious midnight errand that ends in disaster and death, he is sent away in disgrace—and without a trace of his power. He must spend the summer under the watchful eye of his domineering professor, Appius Callender, working in the gardens of Callender’s country estate and hoping to recover his abilities. And it is there, toiling away on a summer afternoon, that he meets the professor’s daughter. Even though she has no talent of her own, Sophie Callender longs to be educated in the lore of magick. Her father has kept her isolated at the estate and forbidden her interest; everyone knows that teaching arcane magickal theory to women is the height of impropriety. But against her father’s wishes, Sophie has studied his ancient volumes on the subject. And in the tall, stammering, yet oddly charming Gray, she finally finds someone who encourages her interest and awakens new ideas and feelings. 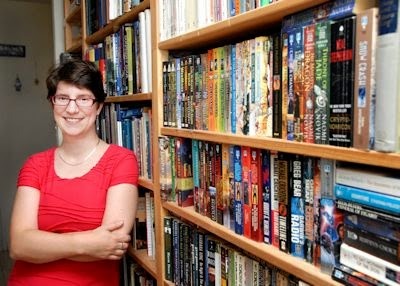 Sylvia Izzo Hunter was born in Calgary, Alberta, but now lives in Toronto with her husband, daughter, and their slightly out-of-control collections of books, comics, and DVDs.